← Can I Get a “Toot, Toot”? Yesterday, I finally mailed off the Halloween gifts that I had been working on for my niece and nephews! Have all of you finished your Halloween gift shopping/making yet? Or am I the only strange one here who thinks that Halloween is the second largest gift giving season? 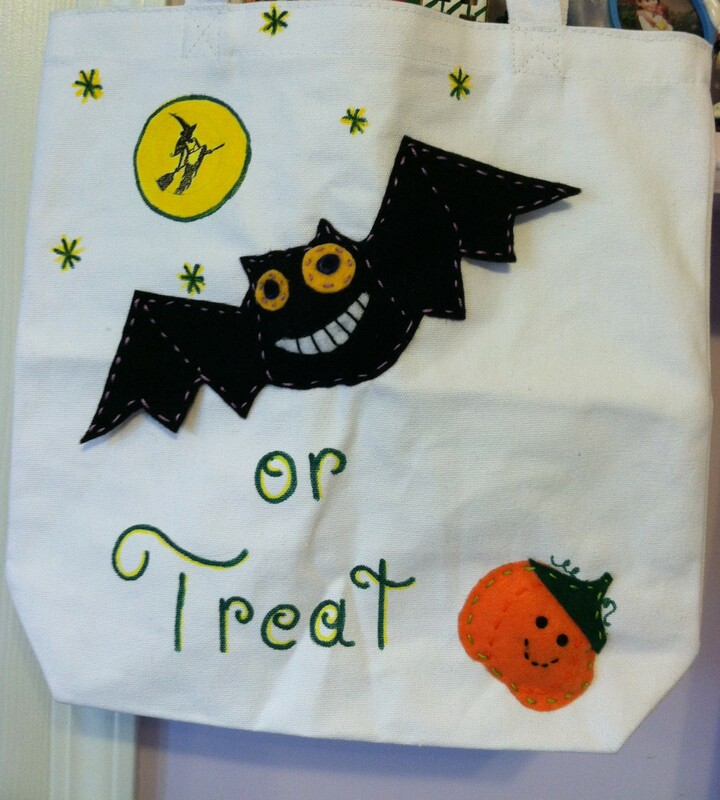 I made some Trick or Treat bags using pre-made canvas totes, crafting felt, embroidery floss, fabric paint and polyester stuffing. Each bag took several days to complete because, I was sewing them on my breaks at work and I free-handed most of the patterns. First up is the first bag that I made. There is a bit of a learning curve and improvement that you may notice as you see each bag unveiled. This one was for my sweet little Grandnephew, Craig. I think that black cats and jack-o-lanterns are perfect companions for Halloween night. Next up is Eli’s bag. 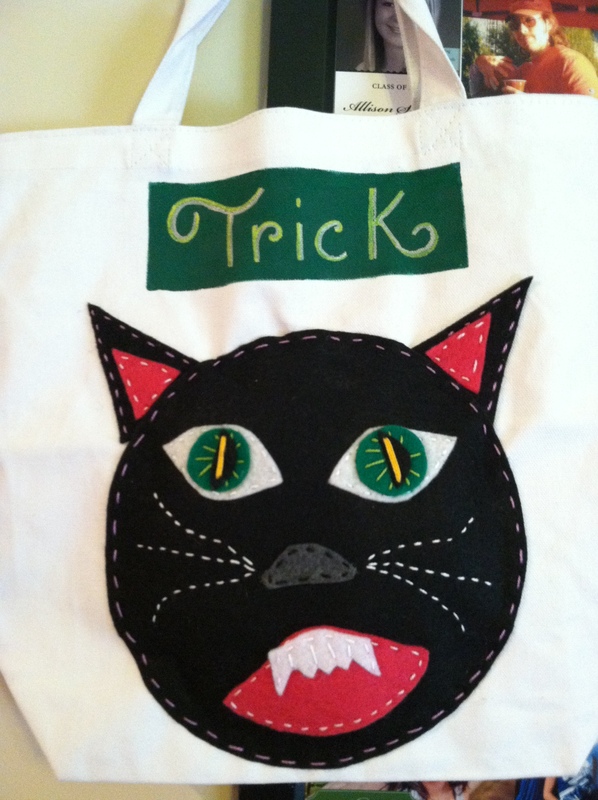 By the time I started on his bag I had a few more tricks up my sleeve, like rubber stamping and background embellishing. 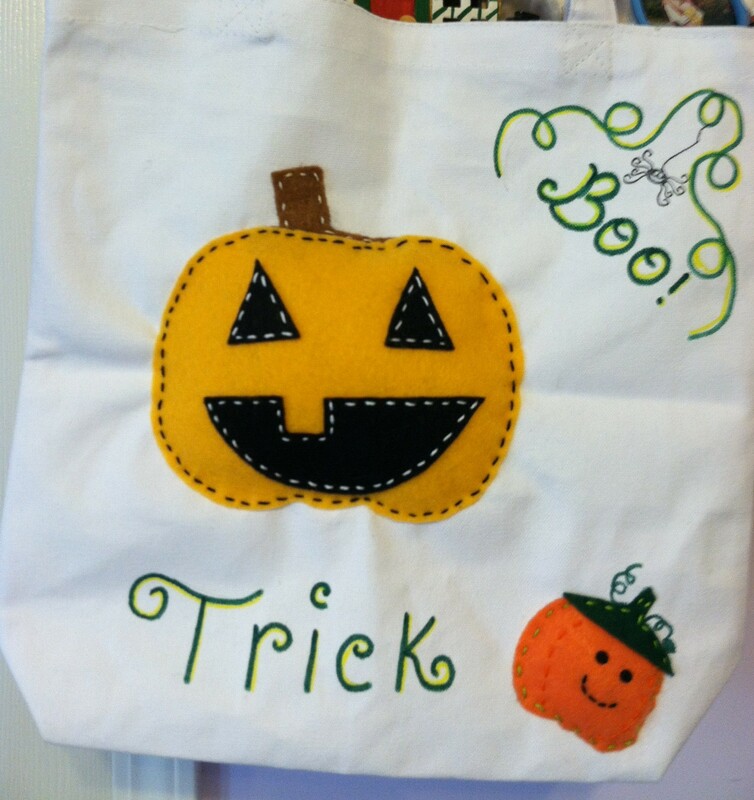 See the cool little witch stamp from Waltzing Mouse and the spooky little spider on the other side of Eli’s bag? Wish I would have thought of that for Craig’s bag too. But, I had given him his in person a few weeks back so it was too late for me to tweak anything. Sam’s bag is a little bit different from the rest since he is much older than the other kids. He is the big 1-0! I made his with an edgier, more creepy theme in mind. 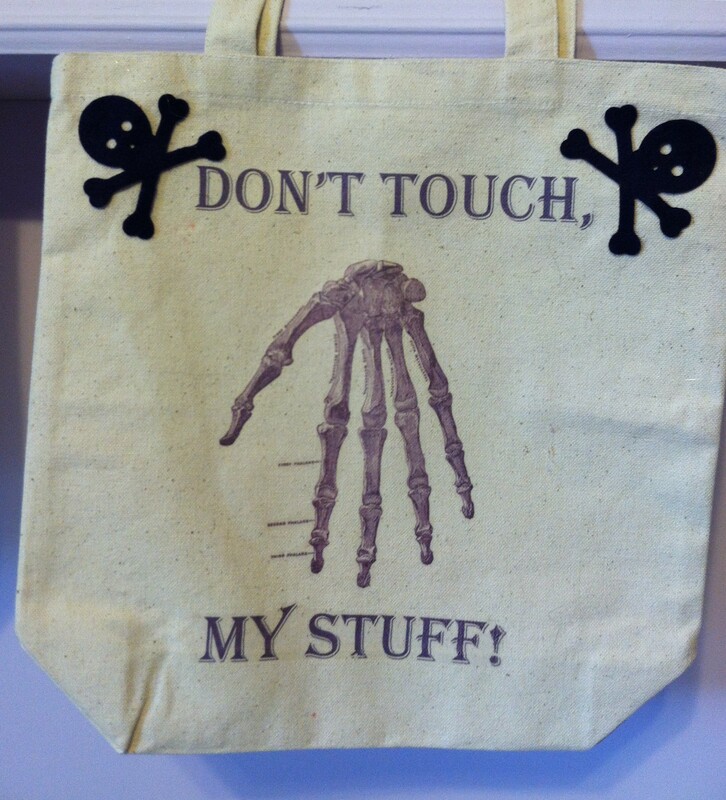 And for Sam’s bag I used some images from The Graphics Fairy and printed them out on Iron-on transfer paper and then added just a touch of felt by using some skulls I die cut on my Big Shot. 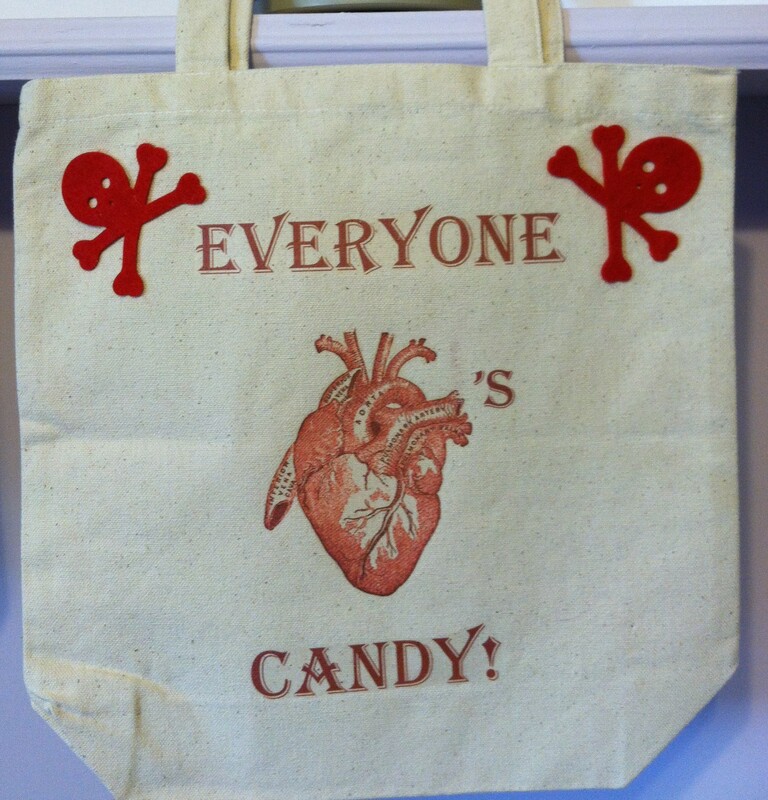 Last up is Addie’s bag and this one is my personal favorite. I was sorely tempted to keep it but, I know that Addie will enjoy swinging this bag on her arm, and I couldn’t deny her the pleasure. 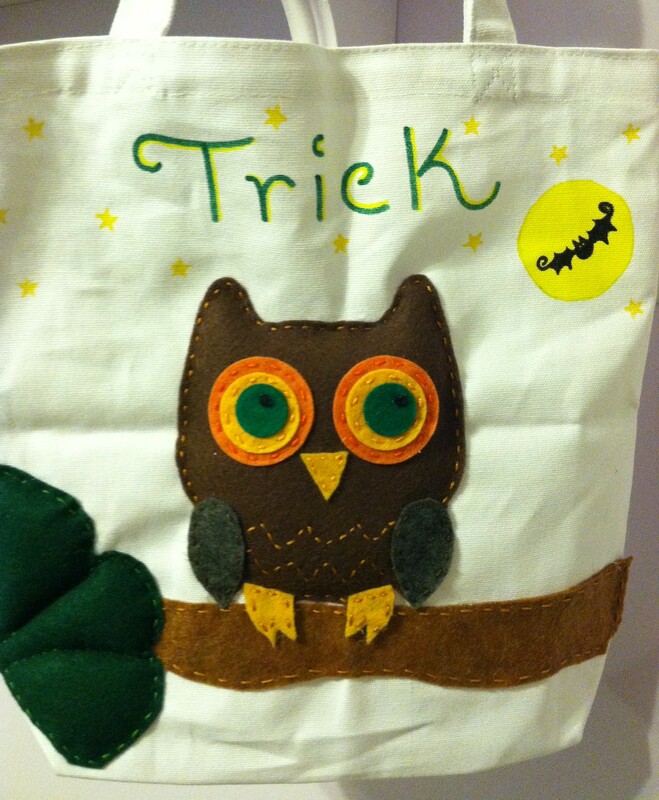 I used the Create a Critter cartridge from Cricut to make a paper template for my owl and the pumpkin too. 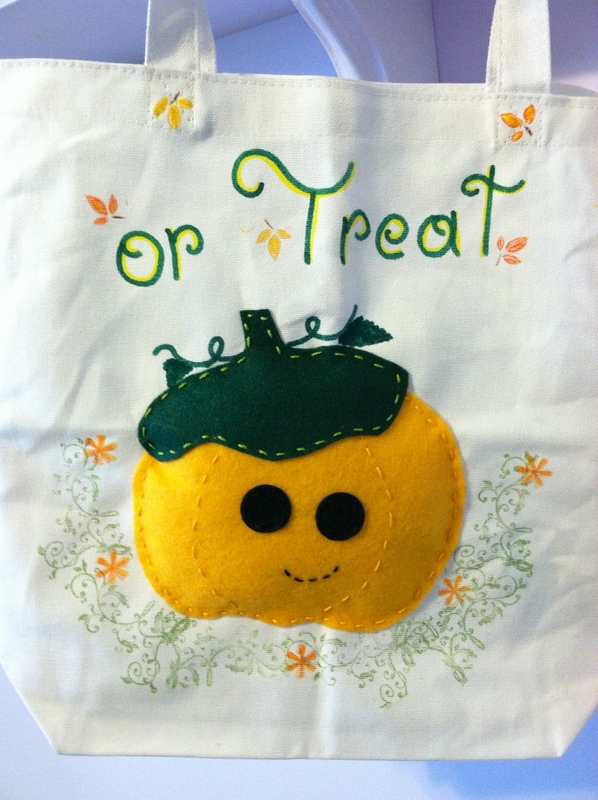 And I used a Sizzix Nesting Circle die to cut out the eyes. (Trying to hand cut a perfect circle is just insane) Addie’s bag includes the most stamping and and I think it has a definite feminine appeal. 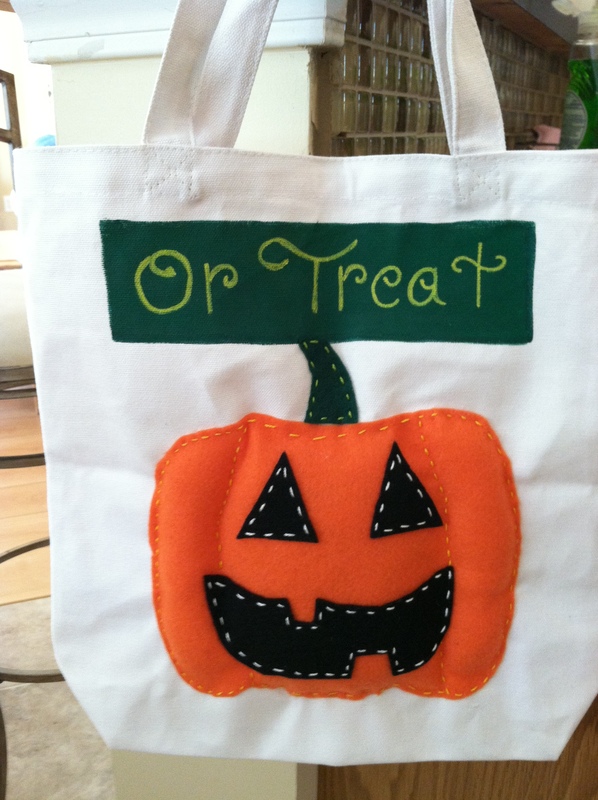 Posted in Any Occasion, Budget Friendly Ideas, Halloween cards, Yarn Craft and tagged felt craft, halloween bags, halloween treat bags, halloween trick or treat bags, Trick or Treat bag ideas, trick or treat bags. Bookmark the permalink.